This 34-page album has ultra thick pages that lay flat when open. Choose from 10 different colors for this clean, classic hardcover book, beautifully stamped with foil on the front cover and spine. (No dust jacket is available at this time.) 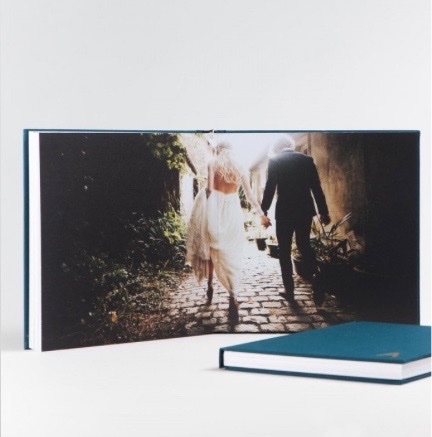 The pages have a textured eggshell finish for an artful, and classic look and touch. Your size options for this book are either 10”x10”, or 8.25”x11”.